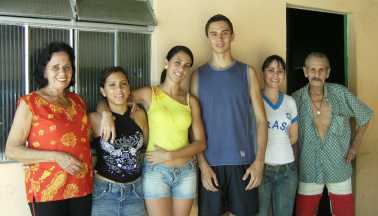 The TAYGRA plant is a family small company founded in 1989 in Brazil. Football lovers, they created one first sneaker, flexible and light, to go to the training, that pleased in succession other players who placed the first order for the team. TAYGRA sneakers have then been born: flexible, light, coloured, adorned with the flag of Brazil. Initially handmade "in the bottom of the garden", the TAYGRA production began with a dozen pairs a month, and knew a progressive development in the inside of Brazil, allowing to the micro-firm to structure itself. Today, TAYGRA crossed oceans because fashion and comfort do not have borders anymore, and production attains 40.000 pairs a year, while remaining handmade in family. "TAYGRA" comes from the Indian Guarani language, and means " divine Seed " and "Pollution of the man". Also the nickname in Brazil of a character of charismatic and amusing comic strip, that looks like a small jaguar, fighting against the Evil. This name is gathering all the values of the brandmark: conviction that with faith and work, it is possible to spread its ideas and to win the world over, showing example in manufacturing an ethical product which promotes the protection of the environment. 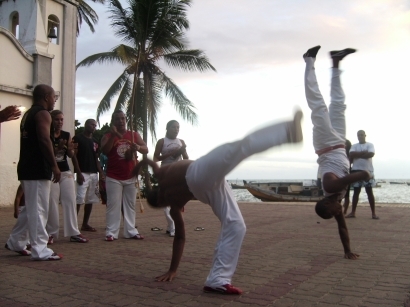 Taygra has known its first successes with the sportsmen from football, then from the area of dance and of martial arts. Then with tourists, bringing it back as memory or ideal present for the fellows, with the symbol of mark which recalls so many dreams: the flag of Brazil. Since the meeting and the partnership in 2006 with the French firm Tropic Concept, TAYGRA took a international dimension and adopts a long term development policy, ecologically and humanly correct, while keeping the handmade production. TAYGRA fabricates currently new models of footwear, tennis, high top sneakers, trainers, waterproof shoes, flip-flops, anatomic soles, and develops a range of clothes sportswear, always respecting the ethics of the brandmark. In 2010, we wish to launch on the market natural cosmetics from the rainforest of Amazonia. TAYGRA can allready be found in the trendy places of the planet, such as Rio de Janeiro, Paris, Marseille, Nice, St Jean de Luz, Genêve, Florence, Los Angeles, Miami or Tokyo, and it is only the beginning of its ascencion! 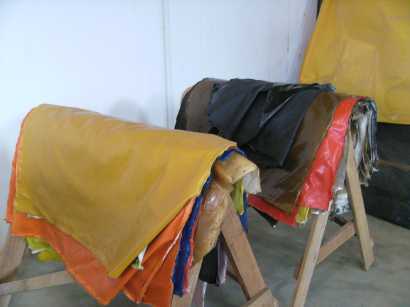 TAYGRA throws on the market in 2009 a new ecologically correct material, the "Forest's Canvas". 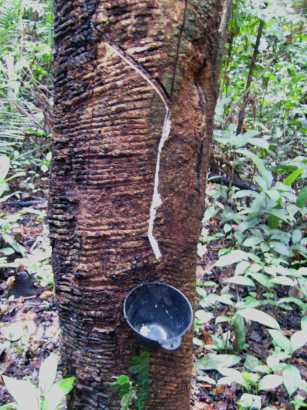 This innovation benefits directly to the small producers of Amazon who extract the sap of native Rubber trees in Brazilian reserve. It allows them to live with dignity and to keep on living inside the reserve, what protects the forest against the wild plagues of lumbering companies. Finally, TAYGRA is proud to launch an environmental plan: the CURUPIRA project. Its purpose is to convert pasture in forest in Amazon area. So, for each sold pair, 1 EURO is dedicated to this cause as an active eco-participation. The aim is to show to the whole world that planting of trees cleverly managed can be a bigger source of benefit than blind deforestation and bovine animal husbandry or intensive farming of soya. To know more about it, to follow example, click on "Ethics" link. 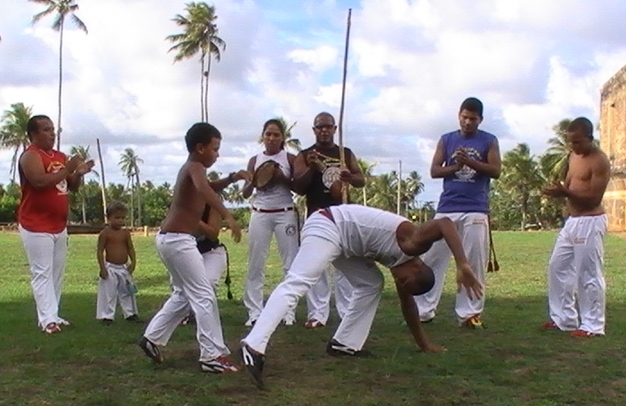 Capoeira is a typical Brazilian martial art that is always on movment, based on the rythm of live music. It seems to be a dance because of its choregraphical aspect for shows, but it can kill !! !